We don’t usually do much in the way of costumes, but at AWANA, they have a costume day each year just for fun in October. 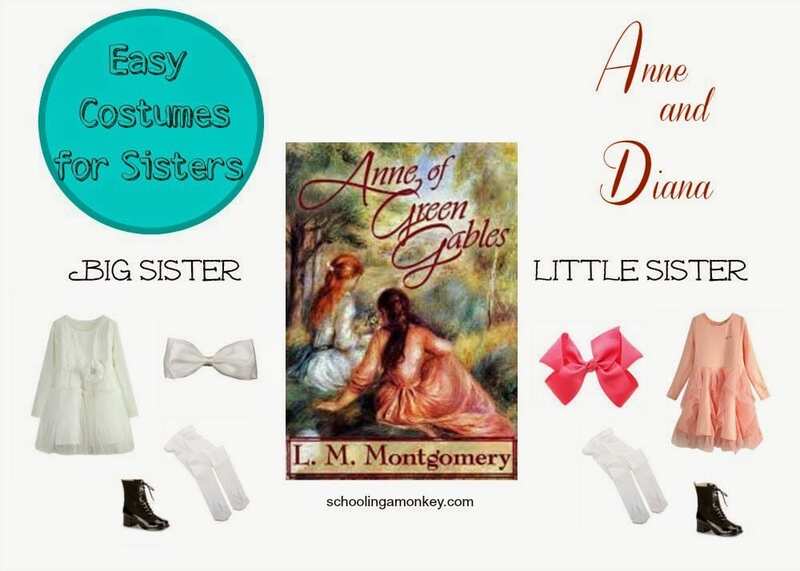 For this, we like to dress up and have fun, but since it isn’t that big of a deal, I would rather put together costumes that are inexpensive or that I can make from the girls’ existing clothing. 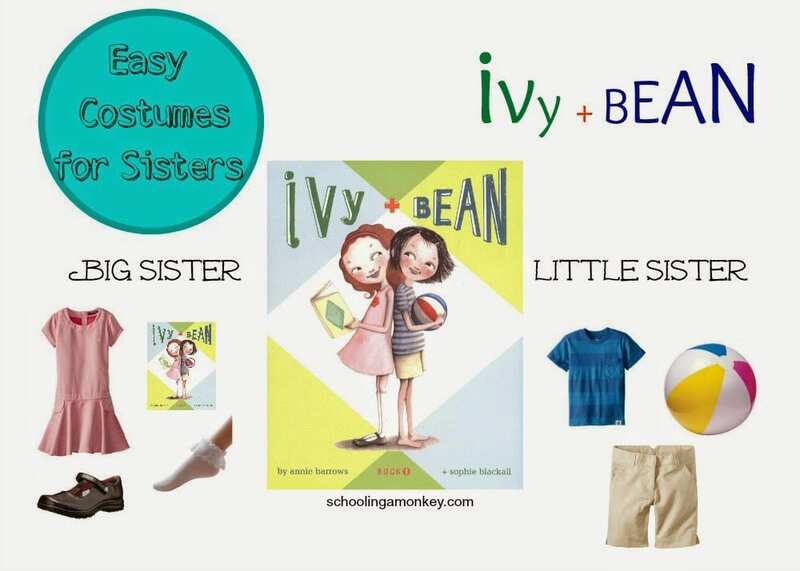 This year, I thought it would be fun to see what easy book-themed costumes I could come up with for sisters. 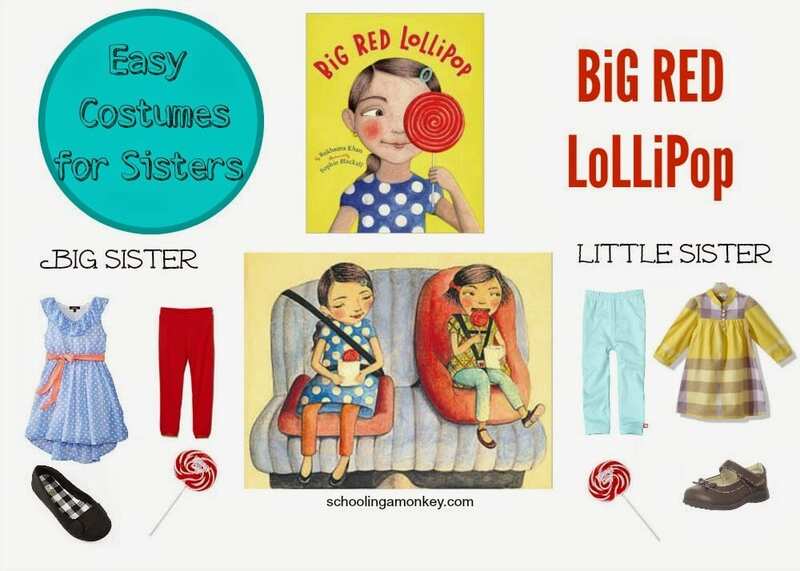 The following four sister costume ideas all pull their inspiration from books. 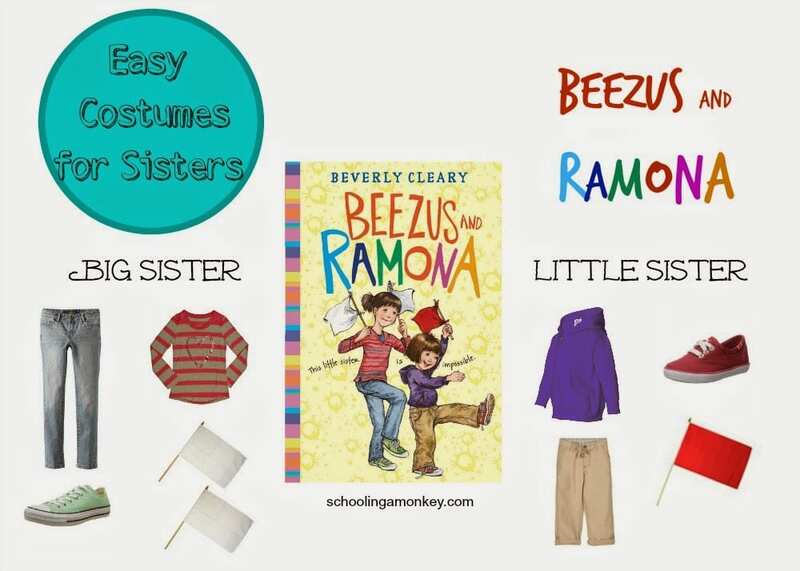 All of these costume ideas for sisters would be the perfect last-minute costumes for any costume party or dress-up event! 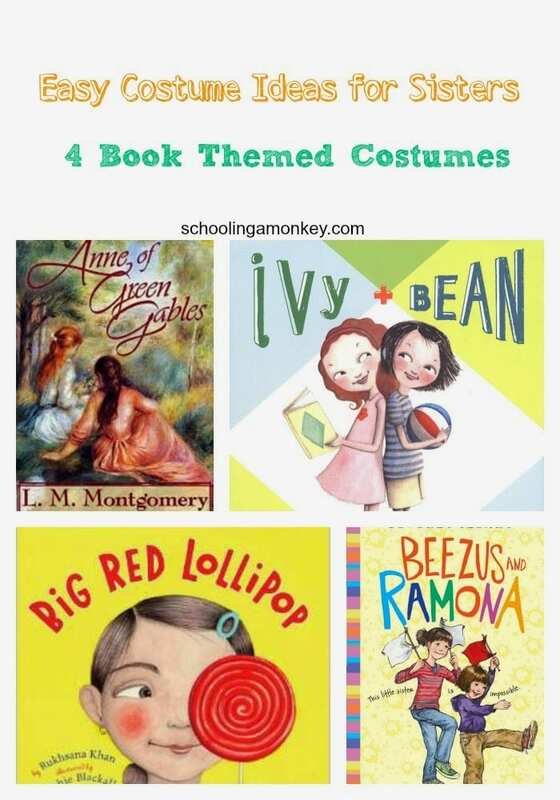 If you dress up as any of these ideas, share your pictures with us on the Schooling a Monkey Facebook page!